In 2017 the DxOMark Mobile test protocol has been updated to cover zoom, bokeh features, very low light performance, motion in the scene and other new test criteria. Image quality testing for this review was still undertaken using the original DxOMark Mobile test protocol from 2012. The results are not directly comparable to the new protocol but this article will still give you a very good idea of the test device's camera performance. While certainly innovative, the Pureview technology moniker is marketing jargon and is not aimed at describing a particular sensor or lens, but rather to identify their Smartphones’ suitability for blur-free, low-noise image capture. 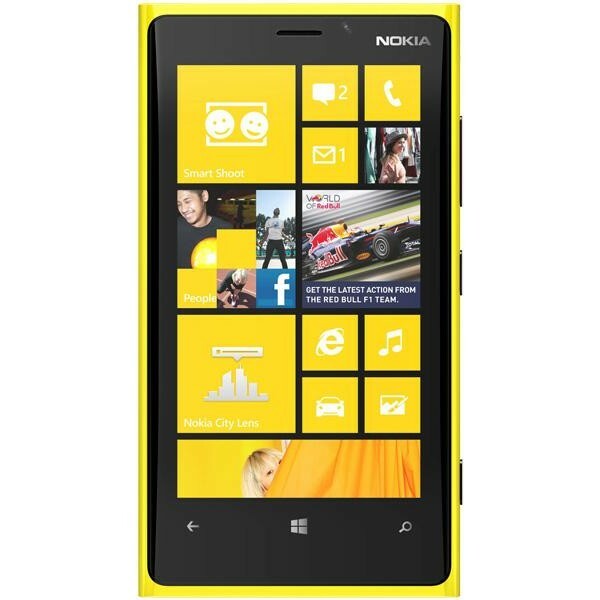 Running Windows Phone 8 OS and housed in a minimalist body with a 4.5-inch display the latest model from Nokia to adopt the Pureview moniker is the Lumia 920. Limiting our observations to the camera component, this is a top-of –the-range smart-cameraphone featuring optical image stabilization and a lens made by Carl Zeiss. Despite the inclusion of Pureview technology and high-end status in the range, though, the camera sensor is a rather modest 8.7-megapixel CMOS. 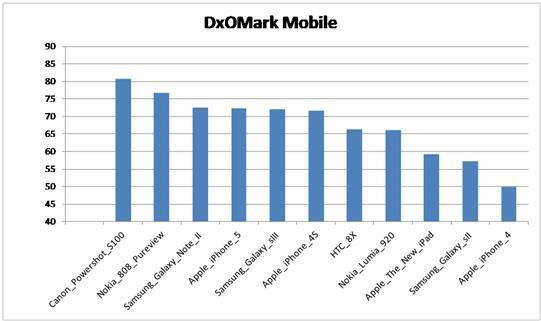 With an overall DxOMark Mobile score of 66 the Lumia 920 performs rather less impressively than the older Apple iPhone 4S or more recent models such as the Samsung Galaxy SIII or Galaxy Note II or even the iPhone 5, which all share a DxOMark Mobile score of 72. A closer look at the individual scores for Photo and Video reveal the camera’s strengths and weaknesses. With a DxOMark Mobile –Photo score of 64 compared with a good overall Video score of 70 (and just one point behind our best tested model, the Samsung Galaxy Note II) the Lumia 920 doesn’t really pull its weight. While exposure and contrast are generally good even in difficult lighting, and with very low noise levels that are mainly a result of the longer exposure times attributable to stabilization, the main bugbear is disappointing autofocus accuracy. Poor sharpness and texture as well some white balance inaccuracies (under mainly artificial light) also contribute to the low overall weighting. Some of these characteristics can be observed with video capture, notably the poor white balance and inaccurate autofocus in even bright light. Some color shading and unsightly “jello effects” are not corrected, but clips have low noise thanks in the main to an efficient stabilization system. Indeed, the Lumia 920 outperforms the highly-regarded Nokia 808 Pureview for video but for stills it misses the mark slightly. Good overall exposure. Images usually show good contrast even in difficult situations. Very low noise, even under extreme low-light conditions, by using exposure times about four times longer than most smartphones under similar conditions. Efficient stabilization in low light and bright light for moderate motion. Poor texture and sharpness even under bright light conditions. Strong color shading under some fluorescent lighting. Colors are slightly too saturated. Autofocus is neither stable nor repeatable for objects closer than 2m. Unstable white balance, even with constant lighting. Inaccurate autofocus, even in bright light. Jello effect and rotation are not corrected, making stabilization performance only average for stronger motion.